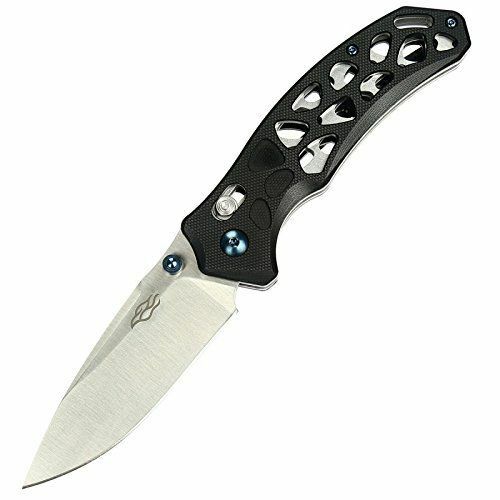 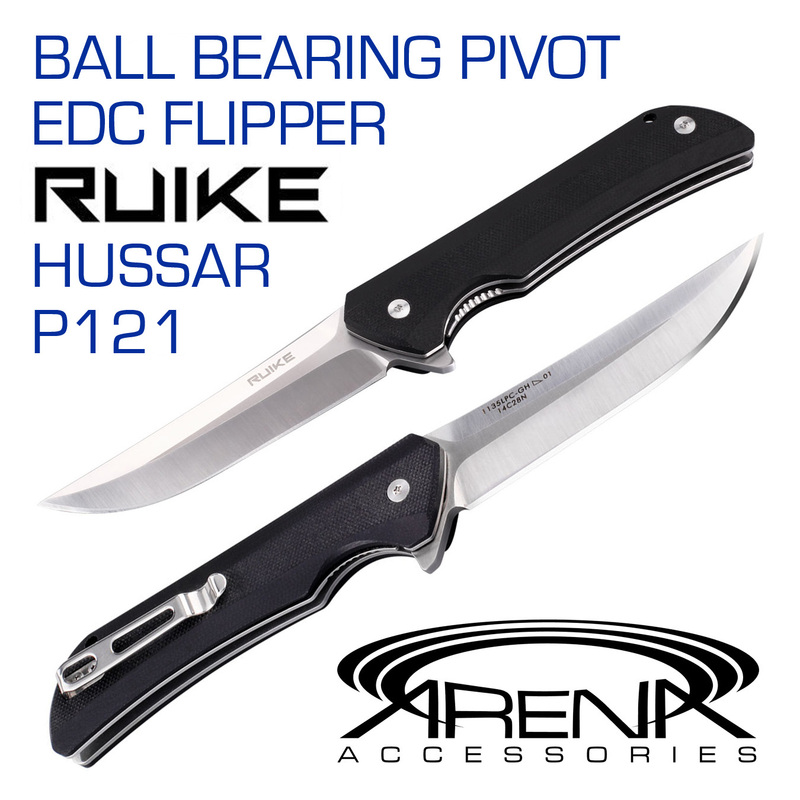 This model is a lot of bang for the buck - you get a high-quality 440C steel blade with a ball-bearing pivot and axis lock. 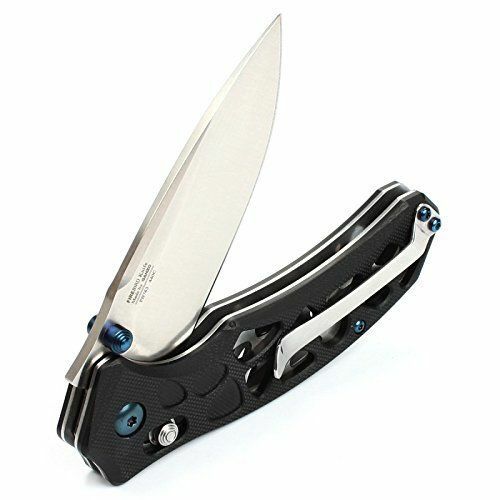 Its skeletonized frame and handle scales are not just for good looks, but mainly for weight-reduction! 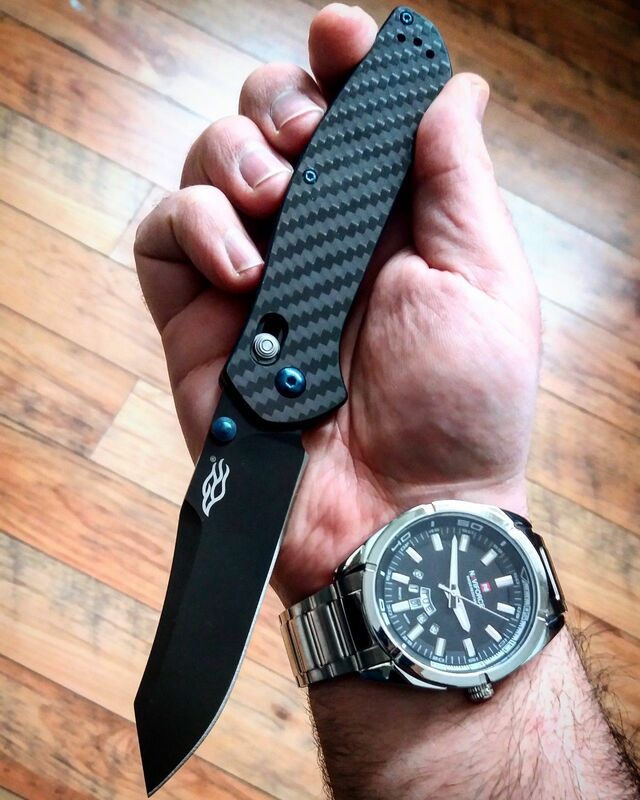 This model weighs in at only 4.2 oz overall. 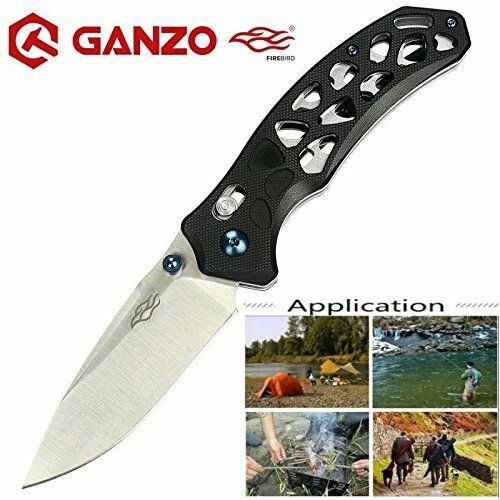 WIDE APPLICATIONS: Ganzo Firebird portable folding knife is an ideal tool for outdoor camping, hunting, fishing, self-defense, car emergencies, personal protection, etc. 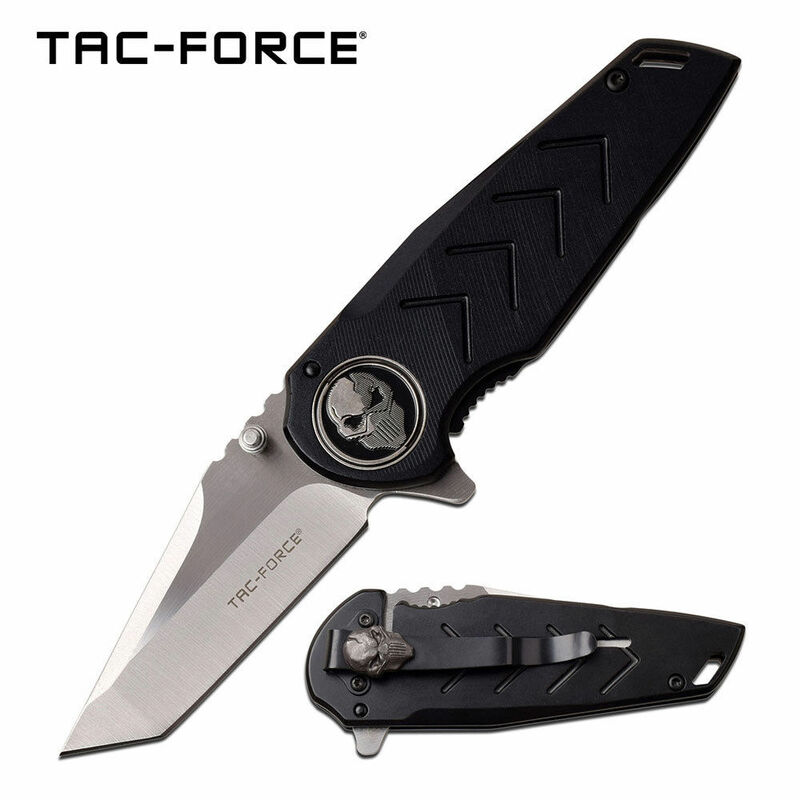 SPECIFICATIONS: Total length 20cm / 7.87 inches, Bade length 8.6cm / 3.38 inches, Blade is made of 440C High-Carbon Stainless Steel with ambidextrous thumb stud. 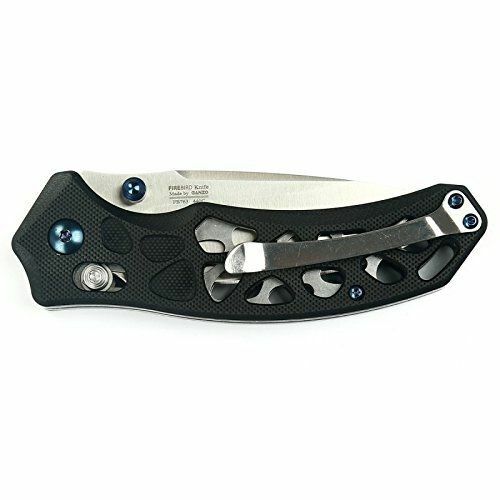 Ball bearing pivot for easy opening and closing. 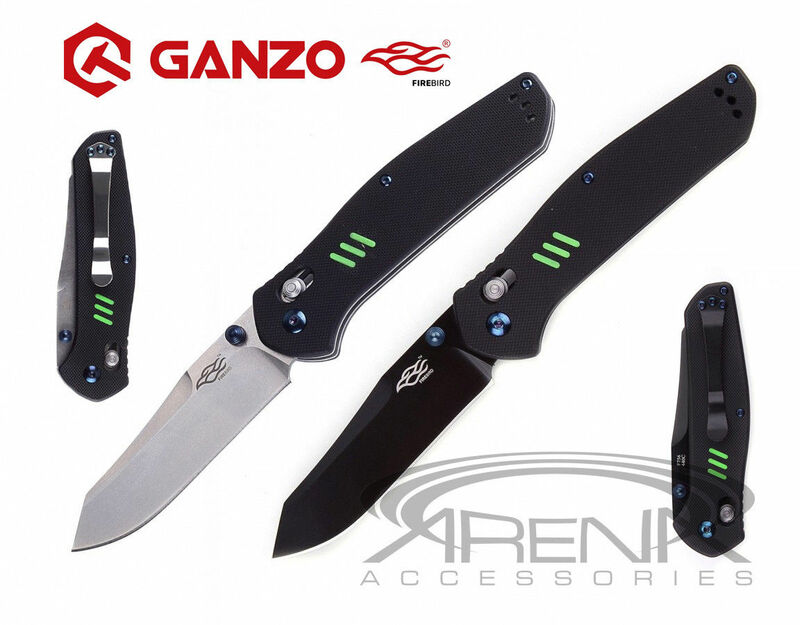 GANZO Firebird F756 G10 Pocket Knife Axis Lock EDC High Quality USA FAST SHIP!